Co-founder of Zipcar, the largest car-sharing company in the world, along with three other companies (Veniam, Buzzcar, and GoLoco). A century and a half ago, fossil fuels replaced slaves as the underpriced energy source driving American economic growth. And like slavery, our deep economic dependence makes change difficult, despite the incontrovertible reality that our fossil-fueled system is profoundly wrong. America could not thrive while captured by the slave economy, nor can she thrive while in thrall to a carbon-based economy. It required almost a hundred years and a devastating civil war to rid the US of slavery. Business interests fought to retain the morally and economically corrupt status quo. Favorable economics prompted blindness and slow response to the moral imperative for ending slavery. Favorable economics today cloud the minds of many legislators and business interests to cling to our system of underpriced fossil fuels. Despite the best efforts of Congressmen Waxman and Markey, the climate bill out of Congress proposed 2020 goals of only 17 percent reductions in CO2 over 2005 levels and passed by the narrowest of margins. Science tells us our 2020 goals need to 25 to 40% reductions over 1990 levels. Senators Boxer and Kerry have proposed 20%, a step in the right direction. Ownership of another human being and reaping the benefit of their labor is repugnant. While burning fossil fuels is not as intimately observable or viscerally felt, a direct link from our actions to real individual suffering can be traced. It takes a look back at the past several decades to appreciate the true costs of burning fossil fuel: air, water, and soil pollution, environmental degradation, wars and military entanglements to protect access to the sources, transfer of American's earning to foreign economies, political empowerment of those we buy from, and climate change. Unfortunately, our individual pocketbooks don't feel the true costs of what it takes for Americans to enjoy the energy derived from a ton of coal, or a barrel of oil. And that's why we make so little effort to use it efficiently, conservatively, or wisely. Drill, baby, drill. Burn, baby, burn. And there will be more casualties. The best estimates of the slave trade's death toll are 15 to 20 million people over its 400-year history. Failure to move to a new low-carbon energy source will result in a similar magnitude of unforgivable suffering and death. The World Health Organization says that climate change was responsible for 300,000 deaths this last year, predicting as many as 9 million excess deaths over the next 20 years alone. Almost all of these initial victims will be among Africa and Asia's poorest who have no voice and no vote with regard to what happens in the US Congress. 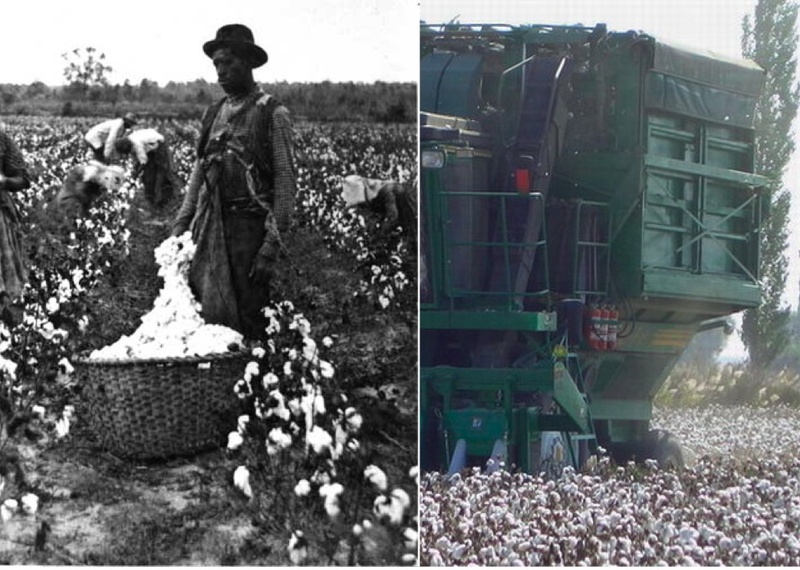 Slavery destroyed familial and cultural bonds as well as removed the ability to earn a living. The same goes for global warming. Long-held ways of life are disappearing rapidly as ice melts, rains don't come, and sea levels rise. The Global Humanitarian Forum, recently released a report stating that 2030 will also see 310 million more people suffering adverse health consequences related to increased temperature, 20 million more people falling into poverty, and 75 million extra people displaced by climate change -- in addition to the excess deaths. Delaying real change is intolerable. Unlike slavery, the global warming legacy will be forever irreparable and unrecoverable. New predictions indicate a good chance of a nine degree global temperature increase this century. What we eat, where we live, how we live, and indeed who lives will be changed. Forever. Again, we face an undeniable moral imperative. This fall, Congress continues the debate over how quickly our country addresses our broken energy status quo. Just as in moral battles fought before, the correct action and way of life will ultimately prevail. Let's pass a climate bill that reduces CO2 emissions, on a timetable and in a quantity that science dictates, to avert the terrible calamity and suffering that lies ahead if we don't. Back in 1860, our country was at a frightening and wrenching crossroads as we faced what appeared to many Americans to be an impossibly difficult decision: to accept the line drawn of no new expansion of its morally corrupt energy source and to commit to building America's future on a new economic footing. Today, we are at the same crossroads. Americans will ultimately deliver the correct moral response. The question is, can we do it in time to avert unpardonable suffering around the globe and without tearing our nation in two?